Yesterday we reported that Volkswagen was on the verge of an agreement with the U.S. government on how to fix their 600,000 polluting diesel vehicles. Now reports are trickling in with results of the court hearing, and it seems that VW and the Feds have finally reached a consensus. VW spent many weeks negotiating with the U.S. Department of Justice, California’s Air Resources Board, the EPA and the Federal Trade Commission on how it was going to pay for lying to the public about its cars’ emissions. Senior U.S. District Judge Charles Breyer told VW they had by Thursday “to announce a concrete proposal for getting the polluting vehicles off the road,” Fortune reported. Well, now it’s Thursday, and it looks like VW has met its deadline. Today, Judge Breyer announced in a court hearing that an “agreement in principle” has been reached. In the deal, VW will offer affected owners a buyback, a lease cancellation option, and also the choice to have their vehicles fixed (once the fix is approved by U.S. government officials), Automotive News reports. 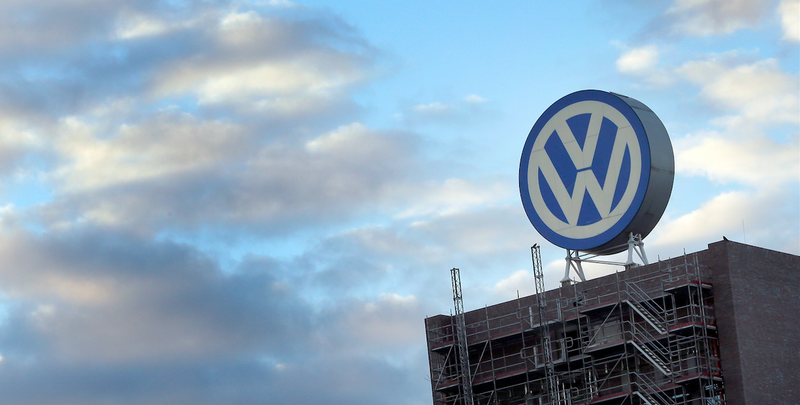 The judge also announced that the agreement-in-principle—which is a term meaning that there are still a few odds and ends that need to be worked out before there’s an official contract—would also include “substantial compensation” for owners affected by the dieselgate scandal. This aligns with our report yesterday, which was based on a Reuters article citing leaked information from people close to the negotiations. And like yesterday’s report, Automotive News says that the deal only applies to the 482,000 2.0-liter diesel-powered VWs and Audis, and not the 80,000 affected VWs, Audis and Porsches powered by 3.0-liter V6s. The report says negotiations on how to deal with the V6s are still underway. Auto News says the judge went on, saying VW also agreed to create two funds: one for correcting environmental damage resulting from excess tailpipe emissions, and the other to promote fuel efficient, clean vehicles. So it looks like a buyback and monetary compensation for affected VW owners are all but official, but we’ll update this post as we hear more. Volkswagen is committed to earning back the trust of its customers, dealers, regulators and the American public. These agreements in principle are an important step on the road to making things right. As noted today in court, customers in the United States do not need to take any action at this time.